The Godox V1 for Fujifilm is now available for pre-order at AmazonUS via third party seller Letwing (98% positive rating). 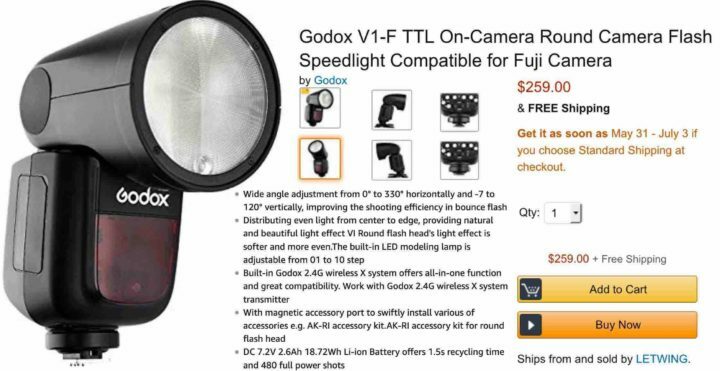 You can find Godox V1 accessories here. The Godox V1 should be available at BHphoto soon. Adorama sells it rebranded s Flashpoint X R2. The Godox V1 basically a Profoto A1 for a fraction of the price.